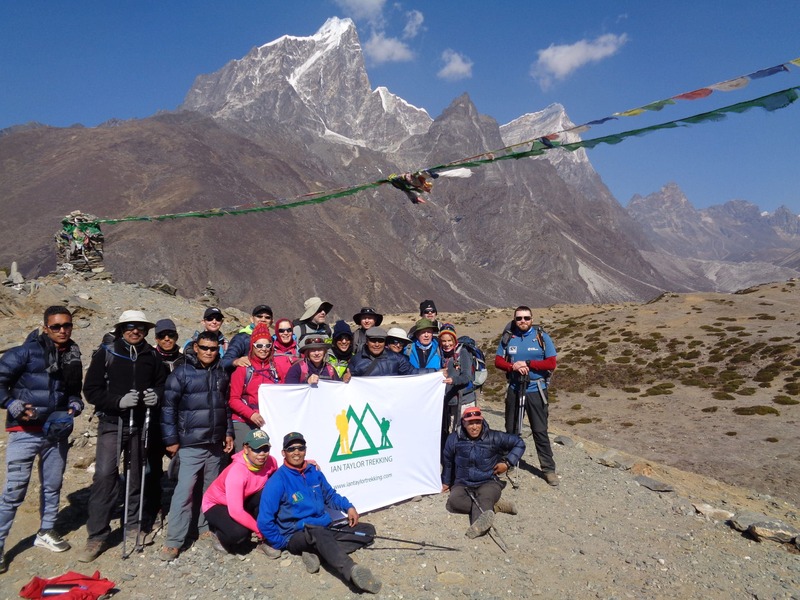 To date, our Everest Base Camp treks pre-monsoon in 2016 have been very successful. we have ran 14 successful Everest base camp treks in 2016 so far. 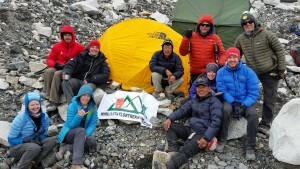 One group of 8 all trekked to Everest base camp and slept there. They all made it and climbed Kala Phatar for the world class view of Everest. We have had another group of 10 all make it to Everest base camp & Kala Phatar, a group of 6 in March, 14 with me in May and currently we have another group on route to the base of Mt. Everest. 4 people were unsuccessful in reaching base camp. 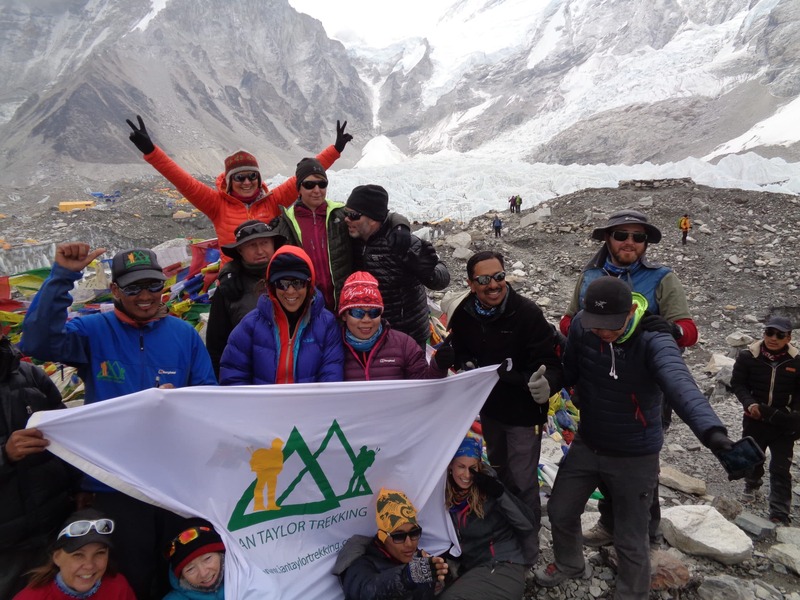 Join one of our treks to Everest Base Camp treks in 2018, 2019 or 2020. Even with additional nights (3 nights) in Namche bazaar and two night in Dingbouche at 4,410m/ 14,468 feet. 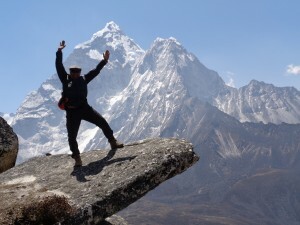 The Everest Base Camp Challenge is not easy and presents a serious altitude challenge. We saw, mild HACE, Vomiting, Headaches, Muscle fatigue, Dizziness and people really challenged by hiking for 13 days, hiking long distances on uneven terrain and walking up and down hills covering over 8,000m/ 26,000 feet in a low oxygen environment. You need to come physically prepared. The more I hike and trek at altitude, the more I am convinced that you need more time built into your acclimatization schedule. You need more time at 3,500m/ 11,500 feet and all the research suggests this. READ MORE. You want to trek in the Himalaya’s you want to enjoy the views and have real mountain experiences in one of the world’s best mountain environments. You need the best Acclimatization but you all need to come physically prepared. We are becoming more strict about the people we select for our treks. You will need to show us you have been training and understand the challenging of trekking at extreme altitude high in the Himalaya’s. We can help you prepare, train and get the information you need for your Everest experience. Ian has climbed Everest to the Top and lead over 17 treks to Mt. Everest. We have a wealth of knowledge information and know how to prepare you for this amazing journey and experience to the world’s highest mountain. In 2017 on we will have a wide range of trekking options in the Everest region. We will have treks to Everest via the Gokyo lakes, Tengbouche monastery, phortse and Khumjung and Kongma La pass. 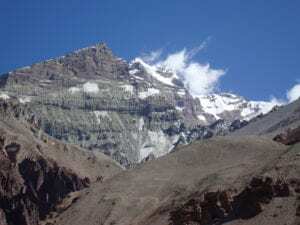 We will also have a Shangbouche hill trek and Tengbouche monastery trek which give all the best options for trekking in the Everest region. We have them all and available to you.